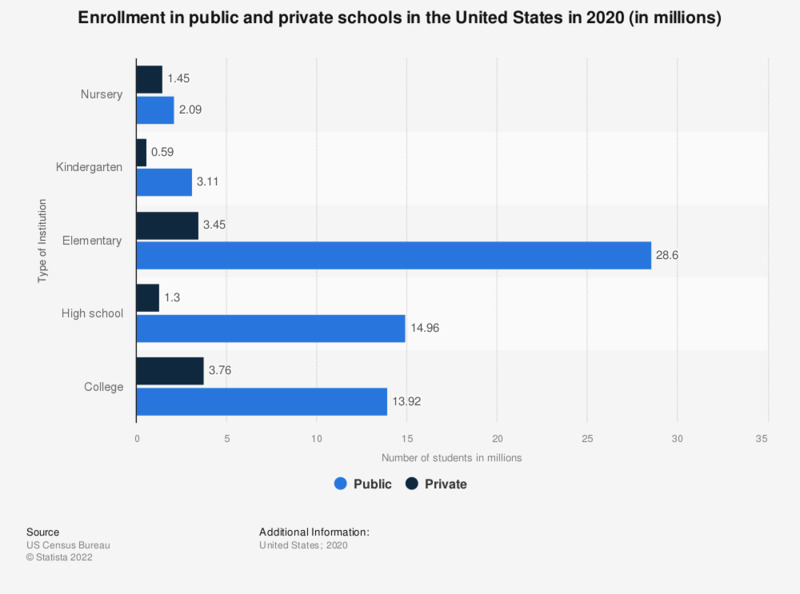 This graph shows school enrollment for public and private schools in 2017 in the United States. As of October 2017, about 3.59 million students were enrolled in private colleges. Everything On "Elementary schools in the U.S." in One Document: Edited and Divided into Handy Chapters. Including Detailed References.